Days after strong winds brought by Hurricane Matthew battered the eastern seaboard of the United States and flooding has displaced thousands of people in North Carolina. Nearly 4,000 have been taken to refuge shelters leaving businesses flooded and homes with water up to their rooflines. Matthew, the most powerful Atlantic storm since 2007, killed at least 1,000 people in Haiti last week before barreling up the US southeastern coast. 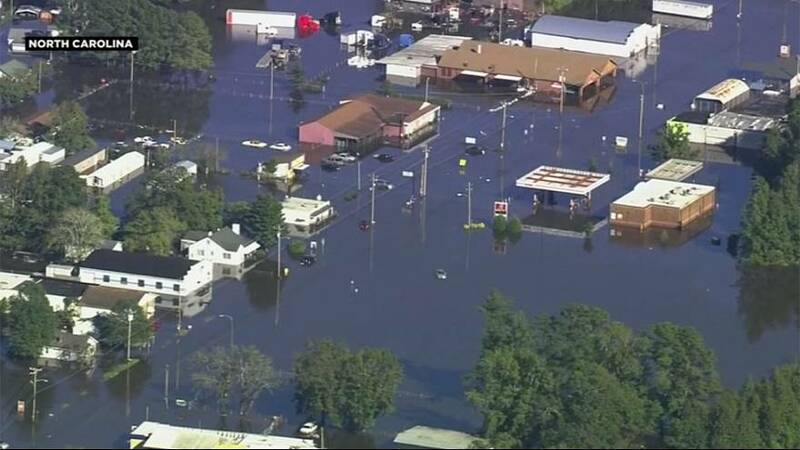 Governor Pat McCrory in North Carolina has warned of “extremely dangerous” conditions in the coming days where several rivers are at record or near record levels. Thirty-five people in the state have already died as a result of the storm. In South Carolina about 532,000 homes are still without power, that’s down from the 2.2 million on Sunday. However disaster declarations in both Carolinas, North and South have been made by President Barack Obama which will make federal funding available to people in the hardest hit areas.